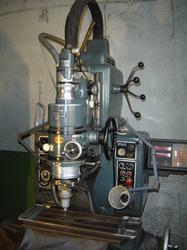 Moore Jig Grinder No.3 with High speed grinding head. Excellent condition. We bring forth for the clients Other Consumables such as Rebar Jigs & Fixtures, Grinder & Grinder Wheel, Heat Shrink Tape, Grouting Admixtures etc. required for Stressing and Grouting operations are all used as per out site engineers instruction and are based on the past experience. 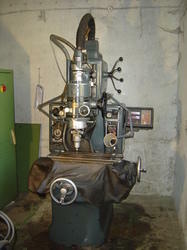 We provide jig Grinder of best Quality. Make Easy Work Out Of A Daily GrindAs manufacturing materials advance, so do the requirements for the tools to work on them. This means new speeds and attachments to handle the demands of increased precision and waste reduction. Spec. Sheets Click Here to download current specification.